Imagine that you are pulled over for speeding in Jacksonville. You know that you have a Florida suspended drivers license. The police officer gives you a Florida speeding ticket. He also arrests you for being a Florida habitual traffic offender and driving while your license is suspended or revoked. The police officer finds marijuana in your car and charges you with Jacksonville possession of less than 20 grams of cannabis. He also finds a pipe. He adds a Jacksonville possession of drug paraphernalia charge. You are dealing with a Florida traffic citation and a suspended drivers license charge. The ticket is a civil infraction. You will get points on your license, but that is the worse that will happen with the Jacksonville traffic ticket. As for the Jacksonville drivers license suspension charge, this is a felony. It is only a felony because you are a habitual traffic offender. There is a good chance that your Jacksonville criminal lawyer will be able to have this bumped down to a misdemeanor crime. Even as a misdemeanor, this could severely impact your driving record or Florida criminal background. You will certainly want help from a Jacksonville criminal attorney with this. The two Jacksonville drug charges are misdemeanors. A drug conviction could result in your drivers license being suspended for two years, so you need to be careful with this. 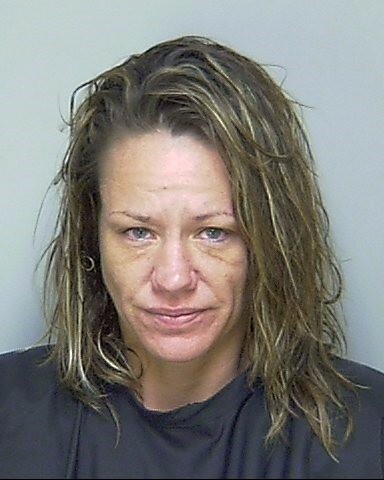 Wendy Fox facing introduction of contraband and other drug charges. When you are at the Duval County jail, you are searched during intake. The intake officer finds a small amount of marijuana in your pocket. Because it is less than 20 grams of cannabis, you think that you will be only charged with a misdemeanor. This is incorrect. You will be charged with a felony. This is called introduction of contraband into a detention facility.